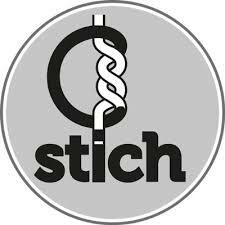 The C-Stich trial is testing the hypothesis that, among women with cervical insufficiency, monofilament nylon cerclage sutures reduce pregnancy loss compared with braided tapes (click here). I’m not closely involved and rarely perform cerclage, but Nottingham is a recruiting centre, so I do what I can. I confess to being rather lukewarm. Surely the bigger methodological issue is “buried v not buried”, and the more fundamental question whether, and in what situations, cerclage does more good than harm. But to their credit the C-Stich investigators are planning to tackle the latter in their next trial C-Stich2. Meanwhile my not very exciting prediction is here. Although I doubt there will be a difference between the materials, I would not be unduly surprised to be wrong. There may be less infection around the monofilament, but sutures can also come undone, which may be more likely with monofilament. The result could go either way. I guess that why they’re doing the trial. The trial is recruiting nicely. The original sample size of 900 participants was increased to 2050 last year because the pooled event rate was turning out lower than expected. That is good research practice. It will at least allow the best suture to be used in C-Stich2, so that if that trial is negative, enthusiasts wont be able to later claim it was because “they used the wrong suture”. But if one material turns out better than the other, that would emphatically NOT be evidence that cerclage is better than nothing. It’s just as likely that the other is less harmful.